You added a profile editing screen in the previous tutorial. 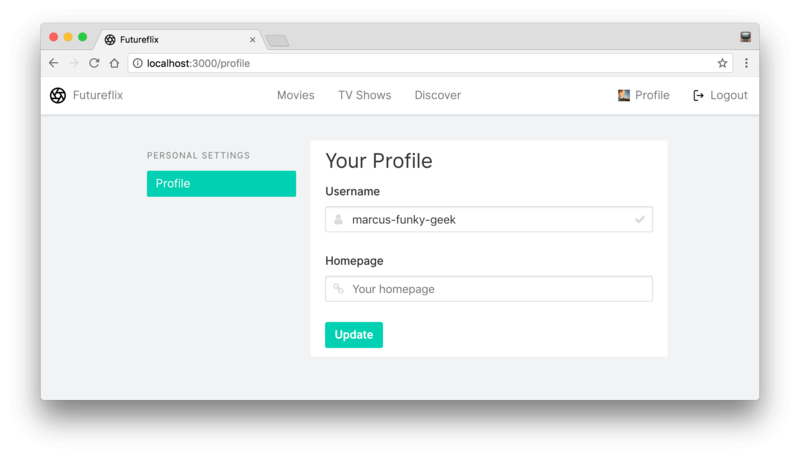 This profile editing view lets users update their personal username and homepage. Up to this point, each user has a blank profile after signing up.